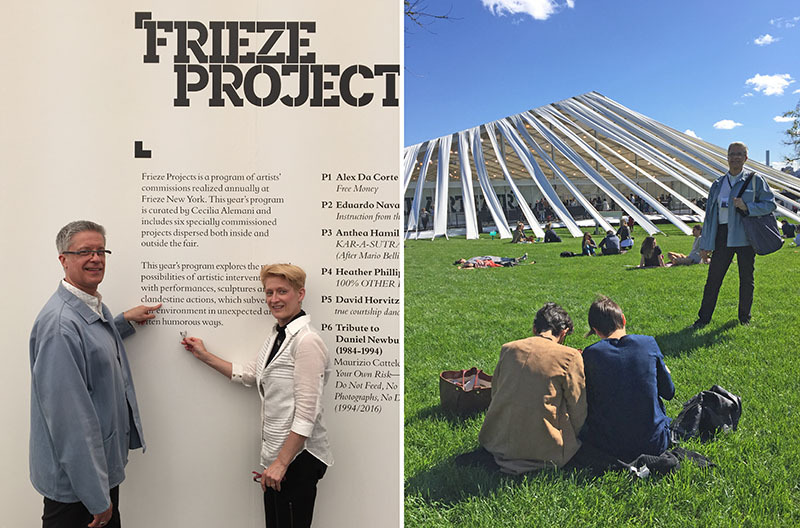 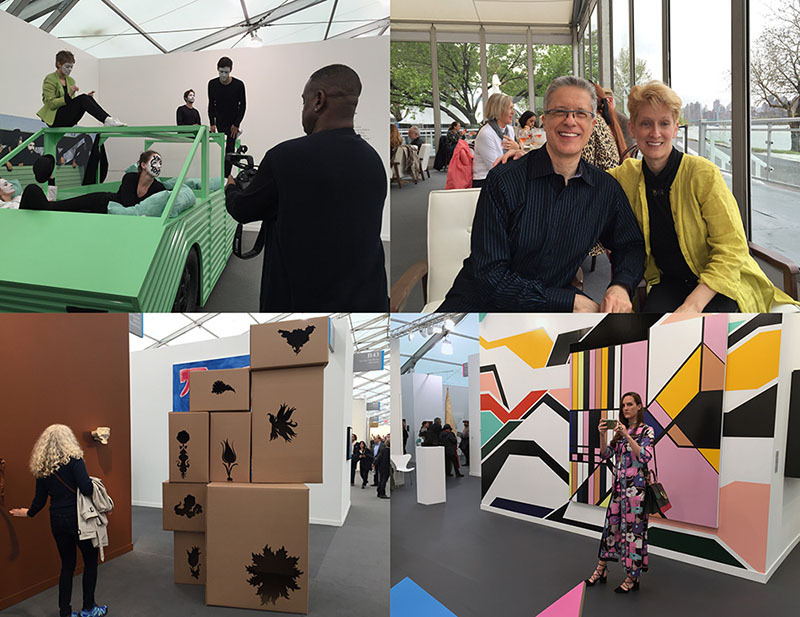 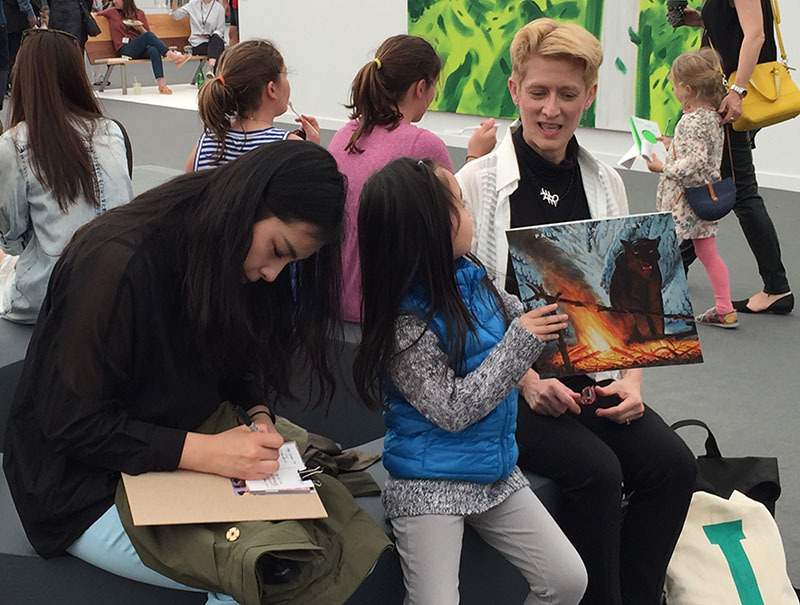 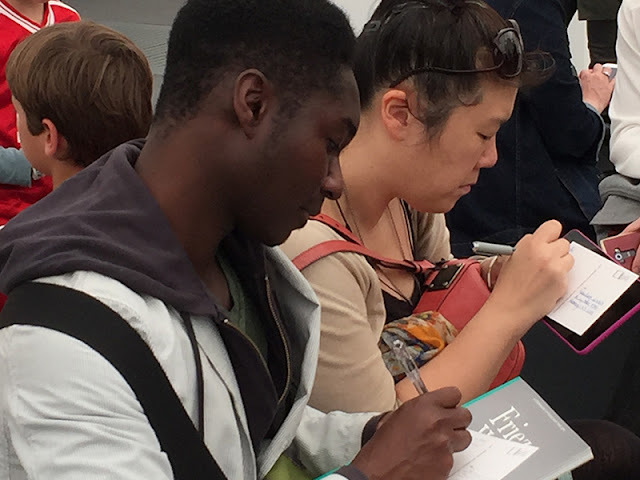 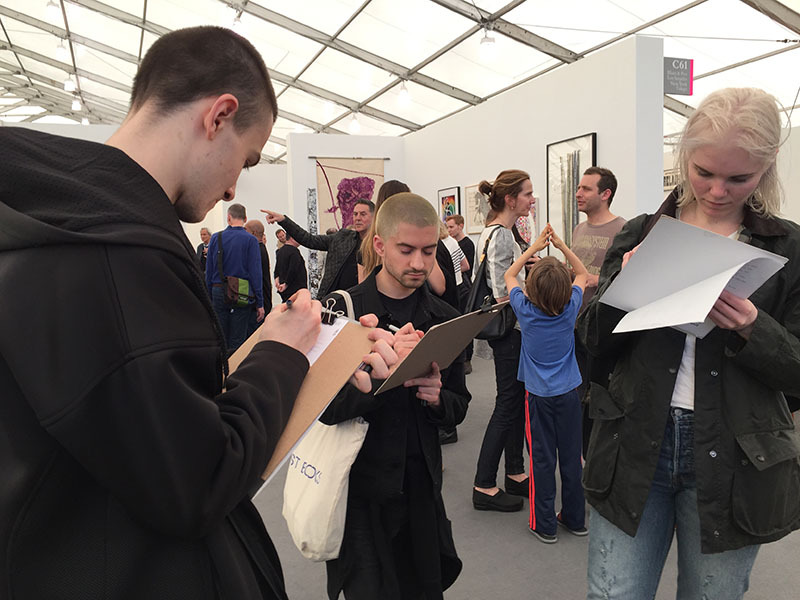 DOEprojekts worked at the 2016 edition of the Frieze Art Fair on Randall's Island, May 2-6. 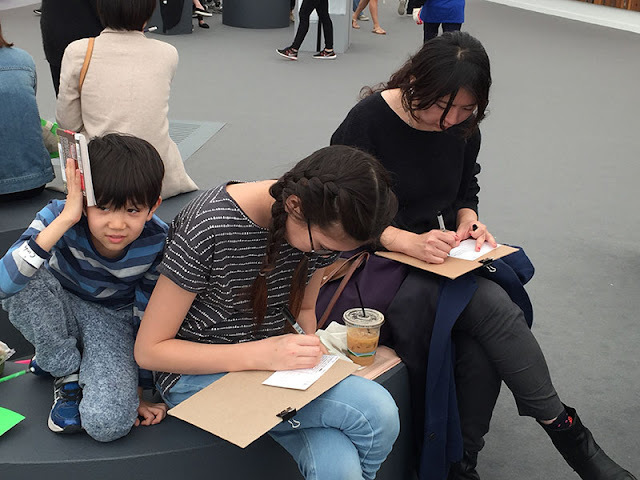 We were "unsuspecting participants" in the Reverse Pickpocket Project by artist David Horvitz. A Pewter Double Seahorse Sculpture was dropped into our tote bag as we walked through the art fair. We instigated our own renegade Frieze Project as well. 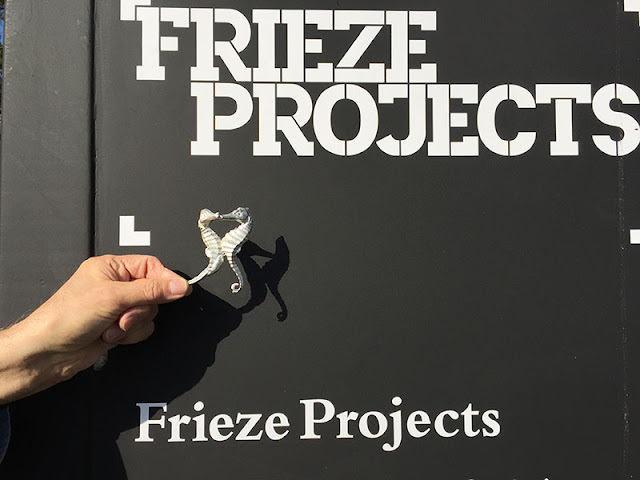 We surveyed Frieze on Friday, taking many photos of various artworks and people. On Saturday, we created 24 postcards from our original photos. 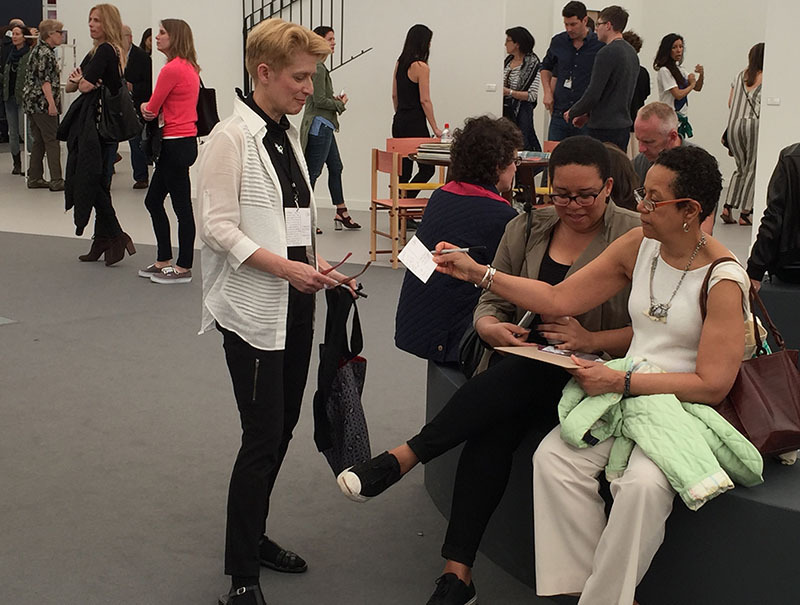 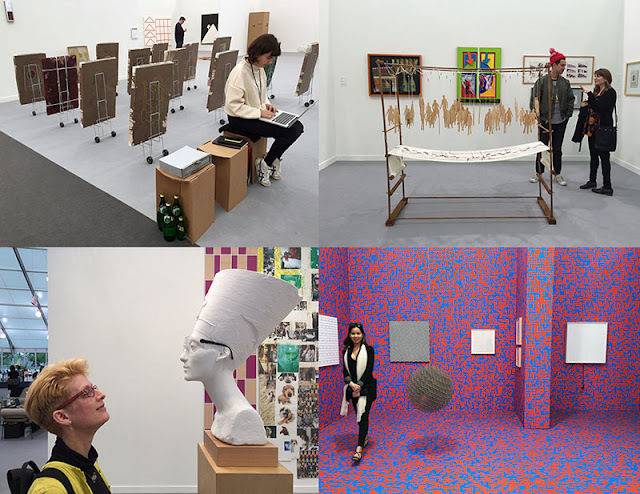 On Sunday, we again visited indoor and outdoor Frieze Fair venues and approached 24 individuals, asking them to participate in our project by writing a postcard addressed to themselves, commenting on their experiences at the art fair. 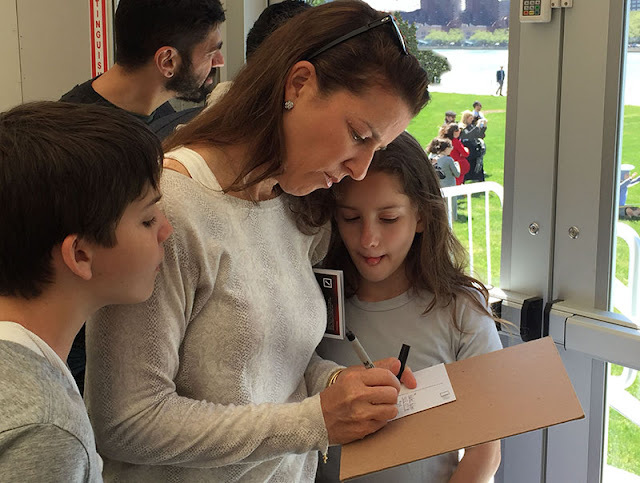 Below are photos that document our project. 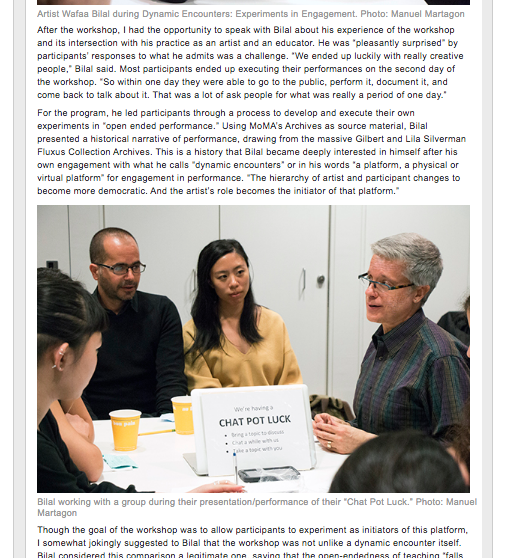 DOEprojekts thanks the participants in the Dynamic Encounters Workshop, led by Wafaa Bilal at MoMA. 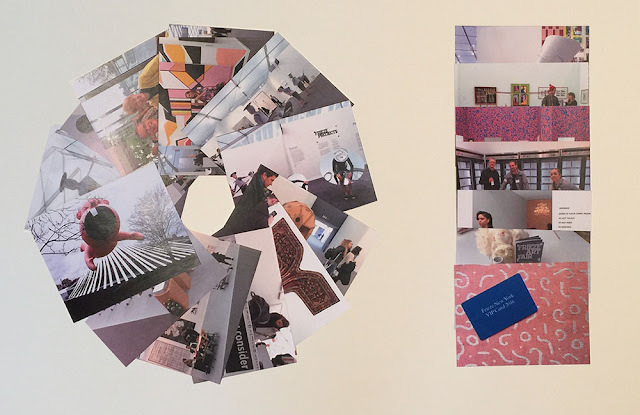 The brainstorming and experimental processes of the Dynamic Encounters Workshop led to our Frieze Renegade Postcard Project. We look forward to continuing to use poscards in our upcoming socially-engaged projects!